Do you seek sturdy, well-built playground equipment for your residence? Swingsets Lancaster offers Amish swingsets and other outdoor entertainment products for children. Our products enhance the appearance of back yards and playgrounds. 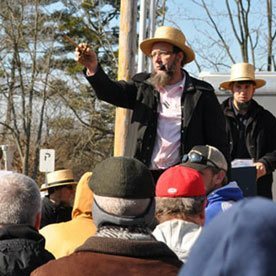 Visit https://www.swingsetslancaster.com/ to preview our great selection of Amish playsets. We offer solid, durable play equipment designed to withstand hard outdoor use. We serve customers nationwide! Our lines of playsets and custom swingsets will withstand wet, rainy conditions, snow, and frosty temperatures. If you seek very high quality, attractive play sets for your backyard, take a closer look at these superbly crafted products! Shop our Lancaster swingsets. We furnish expertly crafted wooden swing sets to interest toddlers and all ages of elementary school students. 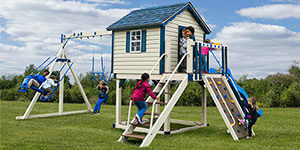 Our great selection of wood and cedar stained playsets include some themed collections. We offer a variety of different designs. 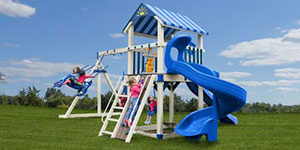 Mix and match compatible play and exercise products, and add new playsets to your grounds as your children grow. 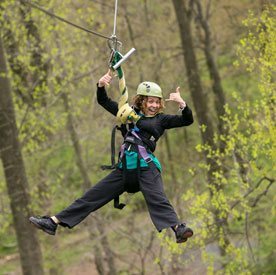 Your yard can supply hours of fun and healthy outdoor recreation when you choose these outstanding swing sets and play sets. We also carry many vinyl swing sets. Brightly colored, yet surprisingly weatherproof, durable vinyl playsets won’t break or scuff easily. They supply children with hours of vigorous fun and entertainment. Encourage the youngsters in your household to play outdoors more frequently. Explore our outstanding selection of affordably priced playground items soon! You won’t regret investing in these wonderful, well-designed outdoor products to enrich backyard play environments. Call 717-481-0634 for more information and start building your new swingset today!